Coming from a regular middle-class family, I had the typical career path in life: Graduate and find a job (then grow old and die). Thanks to my dad who was an excellent soldier before he died, my brother and I had full scholarships at any school in the country. My mother also supported us well in our schoolwork. At the schools where we studied, all our classmates were very rich: children of millionaires, congressmen and senators, actors and celebrities, etc. My classmates were able to travel abroad for weekends and vacation, buy the best food, and have the best stuff – things I could never afford to do. I wanted to enjoy life as much as they do, so I wanted to be rich. At one point, I wanted some extra income and joined a network marketing company. The entry fee cost as much as one month of an office worker’s income (P14,000) and as a student, I didn’t have that money. My parents supported me and paid my fees so I was able to start my very own distributor business. In less than a year, I failed and earned nothing. I DID, however, come across a book that my recruiter/”upline” recommended to me. That one small book (which I borrowed from the school library) definitely changed my views on work and money FOREVER. That book was “Rich Dad Poor Dad ” by Robert Kiyosaki. 2. You can’t grow rich as an employee. You can have a big salary, but if you spend it all on junk (liabilities) you’re not rich. 3. To grow rich, you have to invest in assets – things that make money, like stocks, bonds, real estate, etc. Most people spend all their money on liabilities: cigarettes, liquor, clothes, gadgets, and a ton of other things that someday turn into trash. 1. Your Money Blueprint: You learned how to manage or waste money from the people around you. Your thoughts and beliefs will either cause you to act in ways that will make you poor or act in ways that will make you wealthy. One of these is that those who think “rich people are bad” become poor simply because we all like to act in ways we think are good. 2. One lesson among the 17 ways rich people think differently is that the rich take responsibility for their lives and commit to getting rich. Everyone else just complains about their money problems instead of working to improve their finances. There’s a difference between wanting to be wealthy enough that you’d work hard for a years to build an international business empire… and just waiting to win the lottery and complaining that you’re not getting richer. 3. Another lesson I really liked here is that rich people make their money work hard to earn more money for them through their businesses and investments. That way, they earn more even if they don’t work more. Everyone else works hard to earn money, and they work harder to spend all of it. Now remember that my practicum work happened during summer? That meant I had NO Summer Vacation. Instead of resting and having fun, I had to spend my time at an office doing clerical work. It was my first taste of long commutes and the 9am-6pm work life. I wanted to be wealthy enough so that I’d be free to do whatever I wanted to do in life. The problem was that I didn’t know about stocks, bonds, real estate, or ANYTHING about investing. 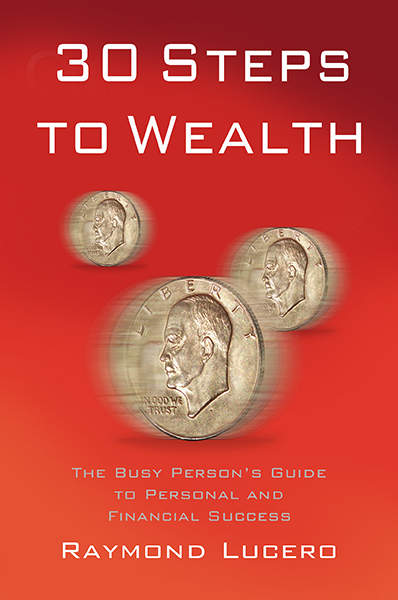 “The Bogleheads’ Guide to Investing ” by Taylor Larimore, Mel Lindauer, and Michael LeBoeuf, (Foreword by John Bogle) – This one contained the basics about personal finance, stocks, bonds, mutual funds and other investments. It’s the most comprehensive one I’ve read and very beginner friendly so I recommend this the most. It also teaches you about the horrible effects of inflation, taxes, market hype, information overload, and that investing should be simple and boring to be effective. “The Richest Man in Babylon ” by George S. Clason – A short book that taught the basics of managing money. The one main lesson that stuck to me and that I still use today is the advice on how to surely save money: Before expenses eat up all of your salary, you save and invest a part of it FIRST (“Pay yourself first”). This book is in public domain so you might find a free PDF somewhere. The link I gave is a premium Amazon version with links for easy navigation. “Your Money or Your Life: 9 Steps to Transforming Your Relationship with Money and Achieving Financial Independence” by Vicki Robin, Joe Dominguez, and Monique Tilford – This taught me the lifestyle spending plan which I still use today (I started from 2009). It expanded what I learned from Clason’s book and added that I should track my expenses and made sure to keep it much lower than my income. One of the most important lessons here is that your money IS made up of your life. You have a limited lifespan of around 70-80 years, and you spend years of your life at work to earn money, which you use to survive and enjoy life. Your money is your lifespan, so you better spend it wisely. *I’ve read over one hundred more books since then (I’ve counted), but they’re about different topics like health, leadership, management, art, etc. I’ll likely post reviews of my favorites so you can check them out and learn from them soon. I graduated last 2009 and found a normal job that paid as much as a call center agency at the time (way less than P20,000 a month). Every payday, I did what I learned from the books I read: Before spending, Save 20-30% of my income and invest it in equities/stocks/mutual funds (later I moved most of my money to AFPSLAI as they gave a nice yield). I also avoided credit cards and bad debt like the plague. Every payday I saved first and I still had more than enough money every month for necessities and the things I enjoy: videogames, quality tea leaves from TWG, non-fiction books, mountaineering trips, etc. For 5 years I’ve worked at the same company (still there as of now: August 2015) and through all that time I’ve saved and invested first. I’ve had no side-businesses, no gambling or lottery, etc. and my only source of income was from my job and the investments I bought. *I can’t say the exact number as it will reveal my salary, but all I can tell you is that my salary is less than a typical call center employee’s. There’s no reason for me to be ashamed of that as this is the old adage about wealth: It’s not how much you earn, but how much you keep. Like what the Bogleheads said: You can earn a hundred thousand a month, but if you spend it all on junk, you’re not rich: you’re just wasteful. None of that would have been possible if I never bought, read, and learned from all those finance books. P3,000 worth of excellent finance books, or P5,000 worth of groceries and gadgets? I don’t know of ANY Other Investment with the COST so far removed from its VALUE aside from excellent books and education. You can never earn wealth if you don’t know how to earn it, and you can earn wealth much easier, faster, and safer when you learned the best ways on how to do it. 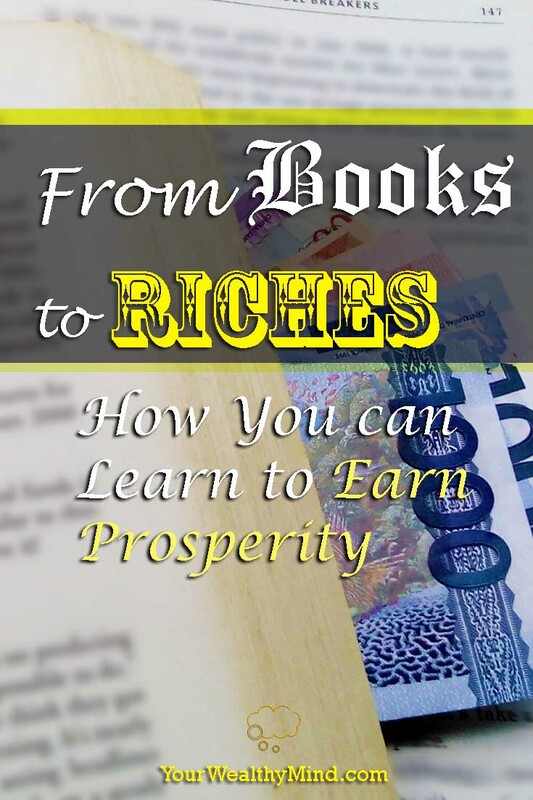 • Write down a goal you want to achieve, like earn P1 million, lose weight, cure cancer, etc. • Go to a bookstore or a library to buy, read, and LEARN from a book about HOW you can achieve that goal. o Think about what you’d be like when you achieved your goal. If you earned P1 million, think about what you did that the book taught you: the business, the career, or the investments you did, and what you’d be doing when you accomplish it. o Now think about what you’d be like if you NEVER achieved it, all because you were too lazy to go to a bookstore, buy and read a book that can probably change your life forever. —All you need right now is to learn what you need to do so you can start earning your dreams, and a book you just picked up from a nearby bookstore could hold the key to your success.